For clients who want the absolute highest level of art work, Denise Gammell Photography is pleased to share this top product. 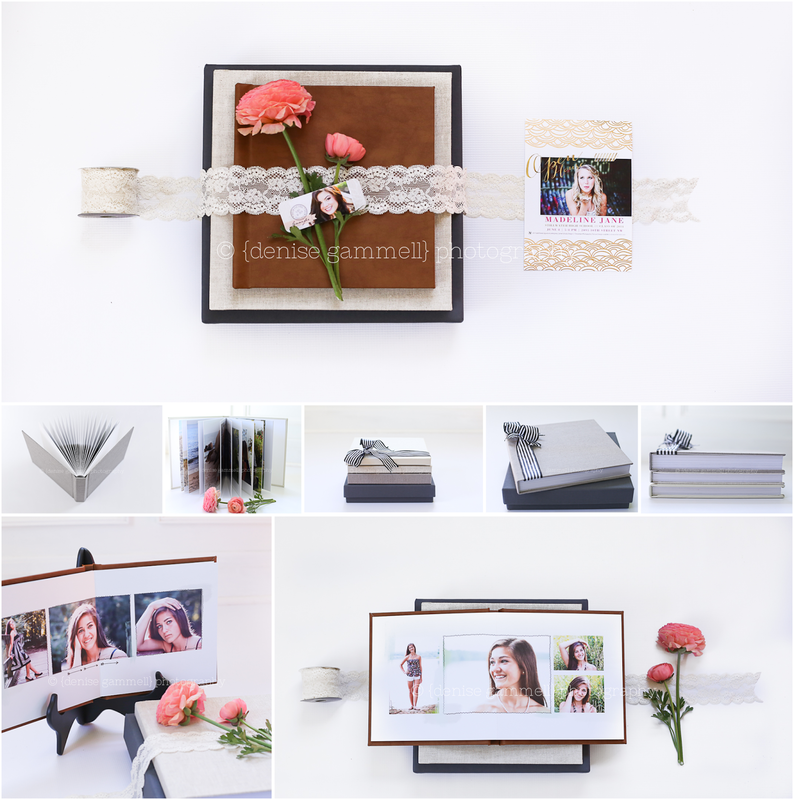 Our albums are unparalleled in quality and style, handcrafted in sizes 8x8 or 10x10, and come in a variety of luxury cover materials. Pages are hard and thick with no gutter in between pages, which makes for a beautiful spread. These albums will be the talk of your high school senior graduation party and a special reminder and heirloom from this exciting time of life.